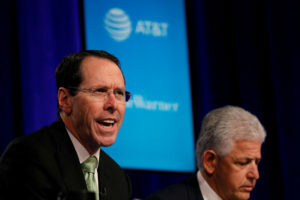 NEW YORK — AT&T is vowing to fight the U.S. government to save its $85 billion bid for Time Warner, after the Justice Department sued to block the deal on grounds it could hike television bills and hamper innovation. The government’s objections have raised red flags for those who worry that the White House is using the merger-review process to try to hurt Time Warner-owned CNN, with which President Donald Trump has tangled frequently. Here’s a look at what’s behind the deal. AT&T says it will be able to package and deliver video more cheaply, over the internet. DOJ says it will be more expensive for consumers. AT&T also hopes to use Time Warner content to support an advertising business that could stand up to Google and Facebook, which dominate the digital-ad industry and are increasingly interested in video themselves. AT&T also could use Time Warner’s video to support its wireless business. AT&T already discounts its streaming service, DirecTV Now, and even HBO, which it doesn’t own yet, to lure customers to its unlimited phone data plans. But the government worries that AT&T would be able to charge rival distributors such as cable companies “hundreds of millions of dollars more per year” for Time Warner’s programming — payments that would ultimately get passed down to consumers through their cable bills. And the Justice Department’s antitrust chief, Makan Delrahim, warns that the deal could hurt innovation, particularly in online television services. WHY HASN’T THE DEAL CLOSED? The Justice Department wants AT&T to sell assets. A person familiar with the situation, who spoke on condition of anonymity because the person wasn’t authorized to speak publicly, had said the Justice Department wanted AT&T to sell either DirecTV or Turner, the Time Warner arm that holds CNN, TBS and TNT. AT&T wasn’t interested in doing so, prompting the lawsuit to block the deal. Delrahim has said the president did not tell him what to do. 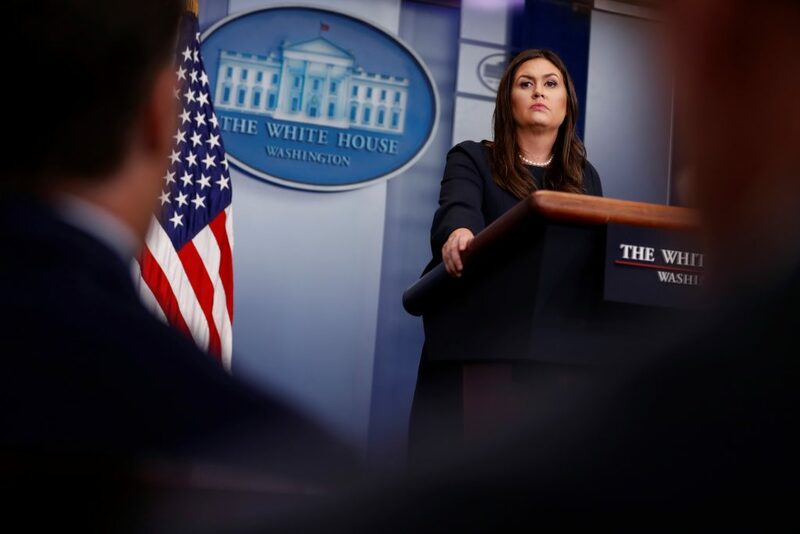 White House spokeswoman Sarah Huckabee Sanders said Monday she wasn’t aware of any specific action related to the case taken by the White House. Even the perception of White House involvement could influence the deal-review process. Even the perception of White House involvement could influence the deal-review process. The president’s vocal opposition to CNN and the deal will come up in any lawsuit, said Matthew Cantor, an antitrust attorney. Other experts don’t believe political pressure from the White House should sway the judge, who will decide on the merits of the case. In “vertical” deals, where a competitor isn’t eliminated, it’s harder for the government to show how consumers would be harmed. The last time the U.S. government won a court victory in a vertical antitrust case was in 1972, when the Supreme Court said Ford’s takeover of a spark-plug business violated antitrust law.